Are you searching for a long-standing and profitable business that looks after the well-being of humanity? This newly renovated built medical and minor surgery clinic is the opportunity you are looking for. This clinic has been beautifully designed in 2012 and since then it has been operational to serve thousands of clients around the Edmonton area and even visitors from nearby localities. It takes pride in its first class medical and surgical equipment, which are used to promote health and wellness in the entire community. This clinic has been configured to be able to accommodate any type of medical practice – general and family medicine, pediatrics, surgery, neurology, internal medicine and more. It has a full range of qualified adult and child care that you can completely trust to handle you and your family’s medical needs. Currently, this institution can have 2 physicians practicing simultaneously and can house a maximum of 120 patients a day. This clinic is a full turn-key business and ready to operate anytime. In addition to this private clinic’s contemporary features, it also boasts a team of highly professional and experienced medical staff, consisting of a knowledgeable clinic manager and a friendly nurse. They have been employed by the company since it was first built and has always demonstrated devotion to their profession. They are also committed to assist in the business turnover, to ensure the success of the medical clinic. They have also been trained to always provide the highest level of quality service to all patients. Patient care is there number one priority. This health establishment is located in one of the busiest and easily accessed areas of Edmonton. 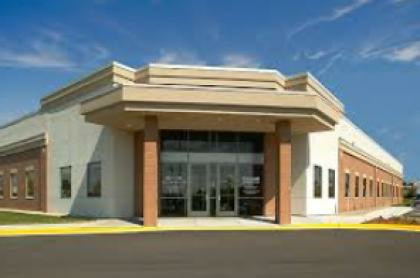 It has a spacious parking space for both patients and employees. 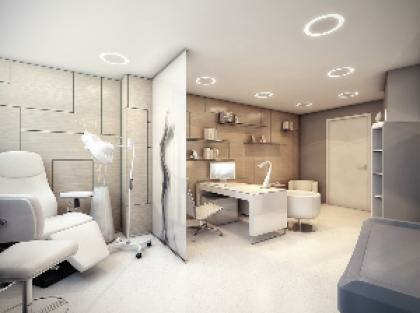 The interior of the building includes a roomy waiting and reception-administrative area, a lunch room with half bath, 5 sizable patient treatment rooms that are fully-equipped with medical facilities, 1 minor surgery room, a doctor’s office, a staff room and a hi-tech computer room. There is also a state-of-the-art liquid Nitrogen cryotherapy unit and an in-house sterilization area. This business venture can also be relocated, finding a more suitable zone that will make it more accessible to clients who are outside the Alberta area. The business package also includes a current lease expiring on June 30, 2017, which can be renewed for another 5 more years. The lease rental fee is annually priced at $20 per square foot. The current owner has to attend to some personal matters concerning the family that is why he has decided to sell the business. This medical institution is currently enjoying a great number of patients, about 265 new clients and 200 follow-ups, mostly living in the main districts of Edmonton. However, with the appropriate marketing, advertising and networking strategies you can expand the products and services this clinic offers. You have the option to create a partnership with other medical practices, offer referral programs and discounted rates, extend the hours of operation and more. The clinic operational hours is from 7am to 10pm at 4 days a week. The existing owner is willing to provide a complete training package on the various business processes, policies and strategies. Together with the current medical team, they will ensure a smooth transition to the prospect buyer and his new management.